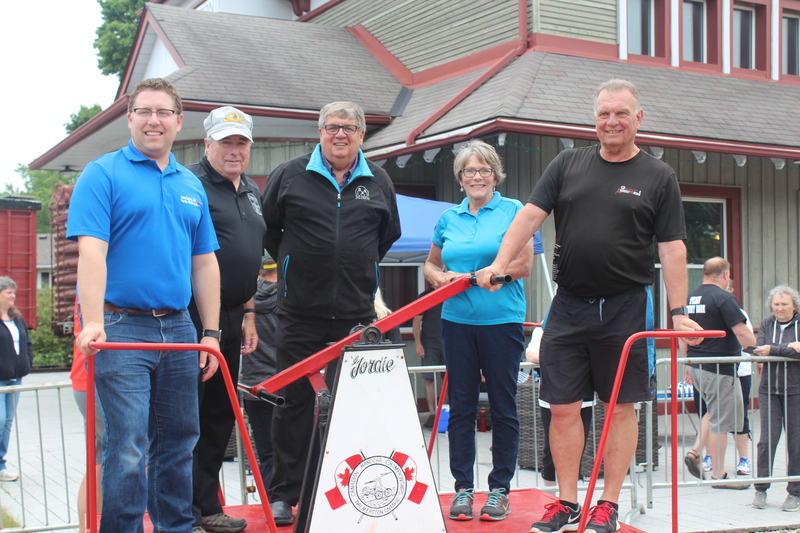 The Palmerston Handcar Races are a celebration of our local railway history and the many years of handcar racing in the past. The Palmerston Handcar Races are back! 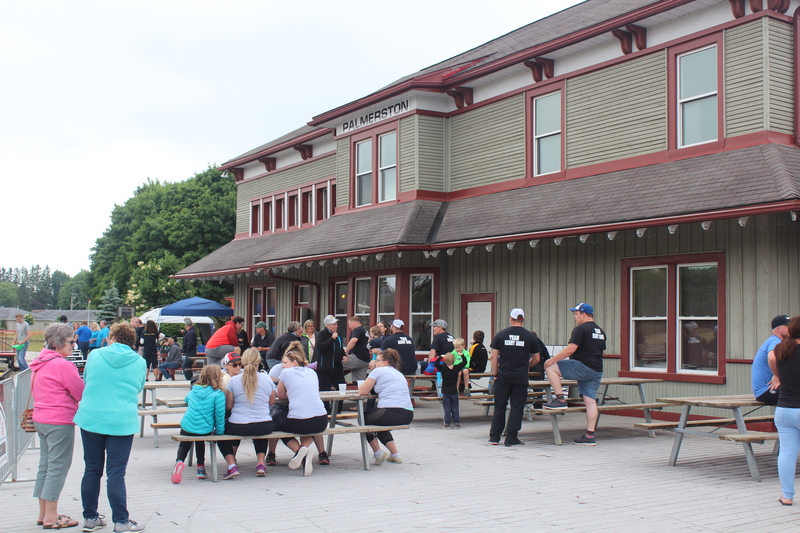 Saturday, June 22 – 12:00 p.m. – 5:00 p.m.
With categories for youth, women, men, mixed and local celebrity teams, the weekend is sure to be an exciting celebration of Palmerston’s railway history. Be creative with your team names and shirts because there will be prizes to be won! Races, food, beer gardens and music – you won’t want to miss out on the action! Early Registration ends on June 1, 2019. All proceeds benefit the Palmerston Railway History Museum. 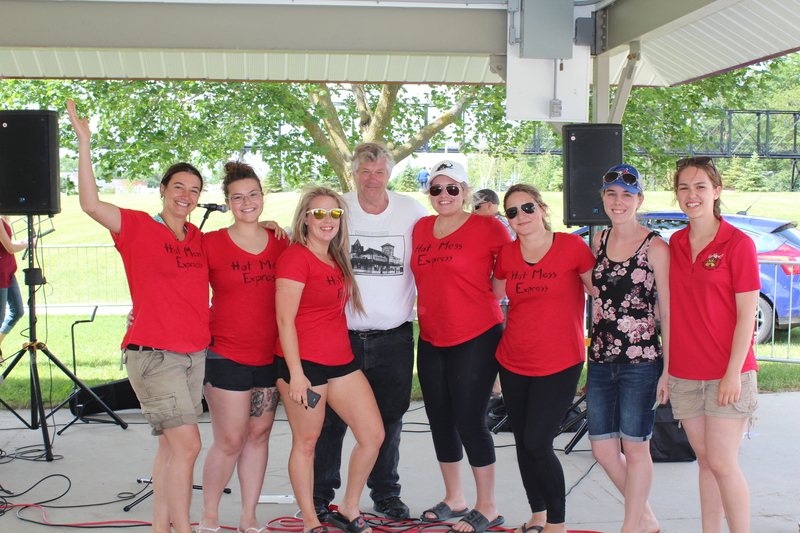 We are currently looking for event sponsors for our 2019 event! Interested? 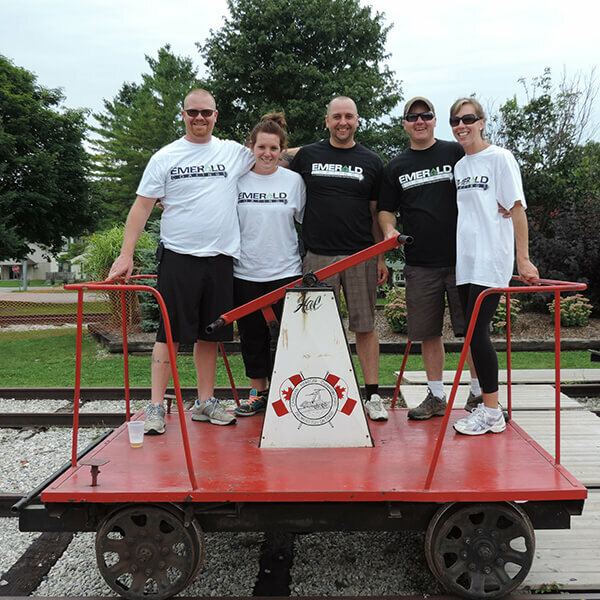 Register your Handcar Races Team Here! 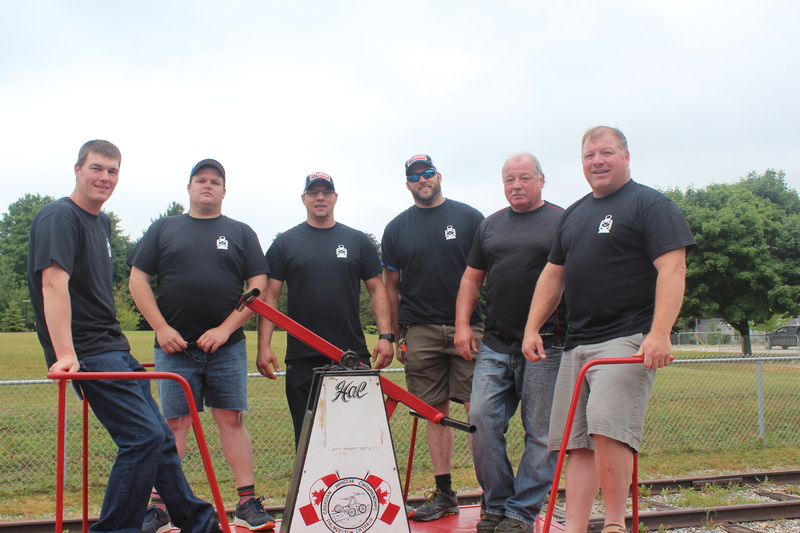 The 2018 Canadian Championship Handcar Races took place June 23, 2018. 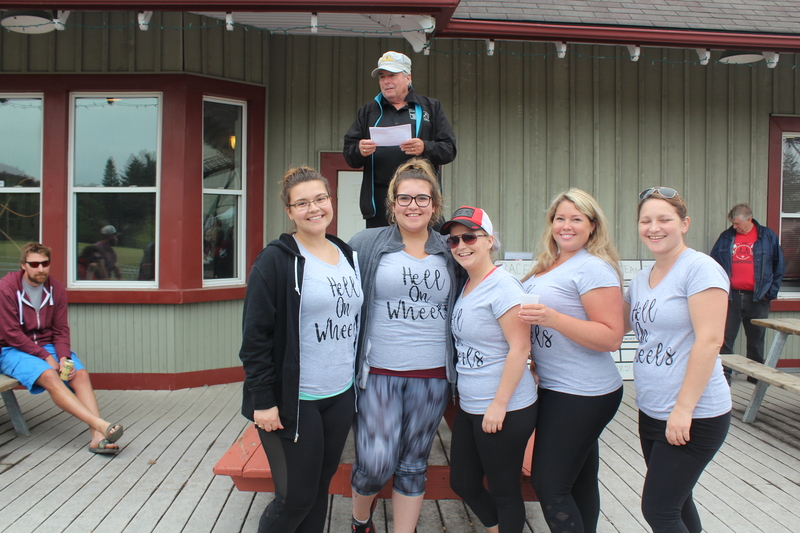 The 2017 Canadian Championship Handcar Races took place June 24, 2017. 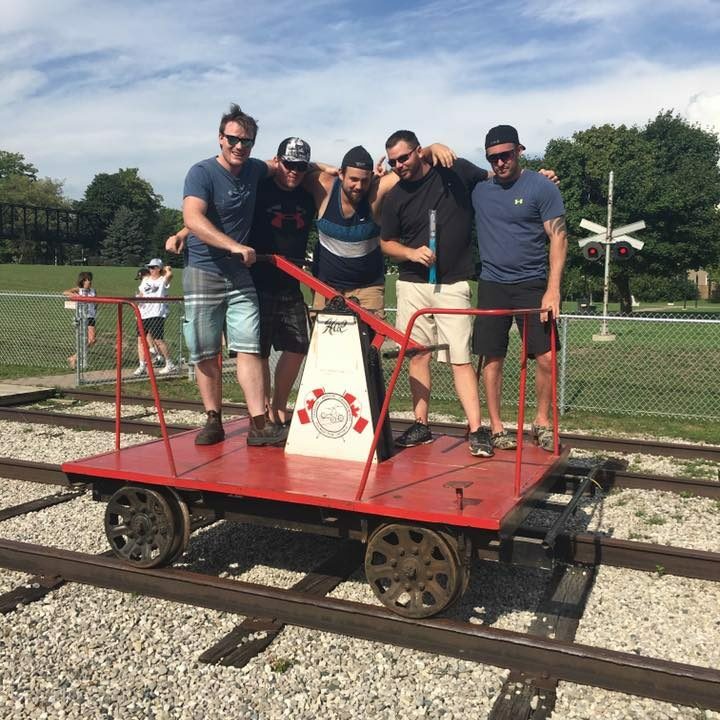 The 2016 Canadian Championship Handcar Races took place August 20, 2016. Congratulations to this year’s winners: the “Train Wrecks”! In 2015, the handcar races returned after a 9 year hiatus. 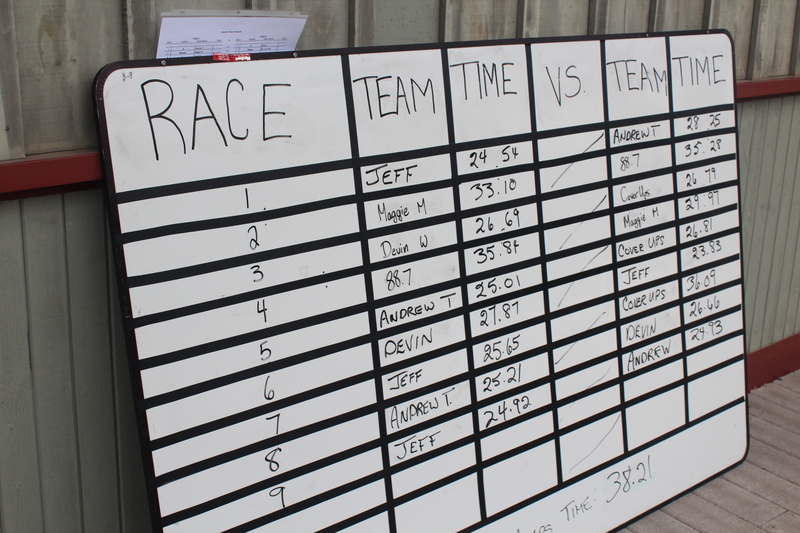 Six teams raced throughout the day, enjoying every second. 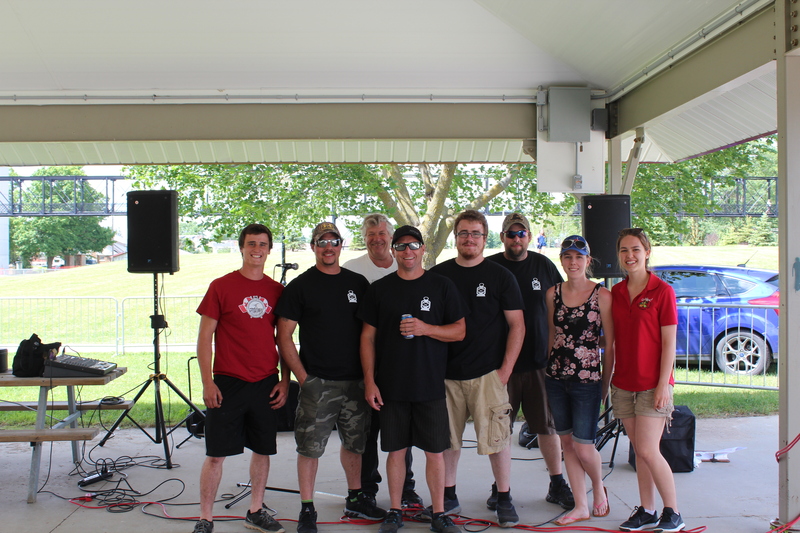 Congratulations to our first place winners, Emerald Coatings, and 2nd place finalists Whiskey Business. 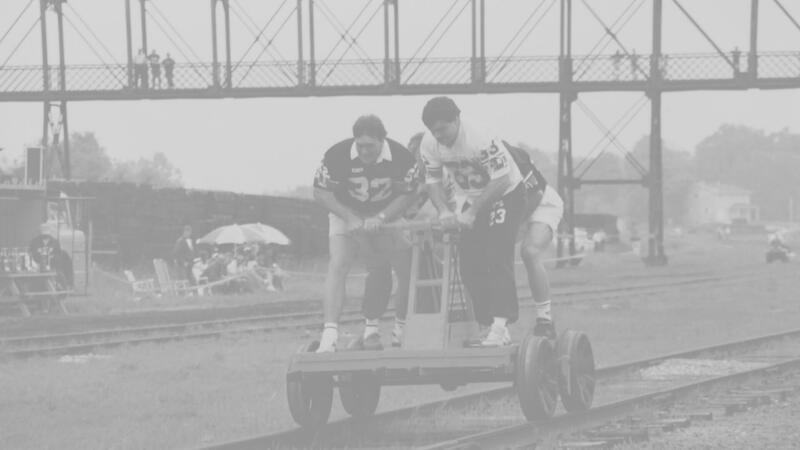 Following John McLaughlin’s approach to the Palmerston Lions Club with his idea of handcar races, the Lions began the Palmerston Handcar Races in 1992. The Lions ran the races until 1997, and continued to be involved in the event until 1999. 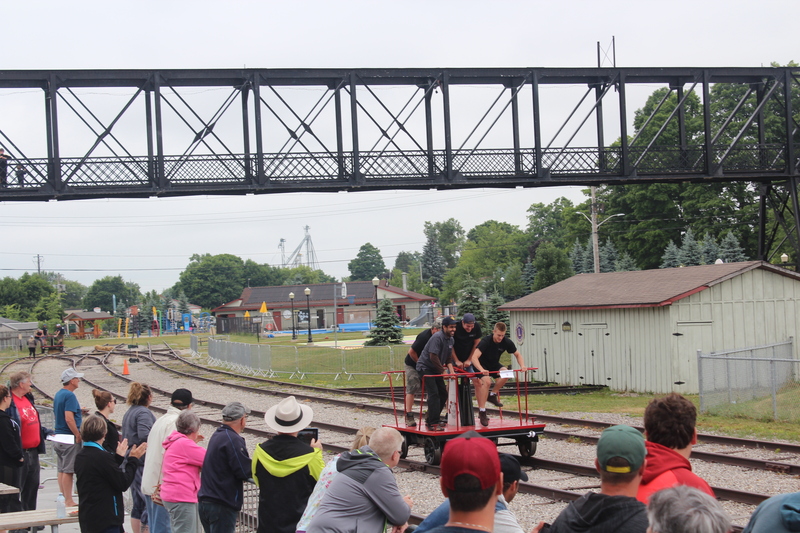 The handcar races became an annual event, drawing hundreds of people from across the province and country. The object of the Canadian Championship Handcar Races is to cover 250 meters of track (150 meters in the Masters categories) in the fastest time possible. Each team consists of 4 pumpers and 1 pusher and will race in 2 qualifying heats on the Saturday, and then advance to the finals on Sunday. The races take place in front of the old Palmerston CNR station (now the Museum) and under the long pedestrian bridge, where those not competing can cheer on their favourite teams. Each car weighs about 800 lbs. and can achieve speeds of 35 miles per hour. In the first year of handcar racing, the traditional yellow handcars were used. However they were not originally meant to be raced and were broken. The two handcars used since were generously built by Hal South from Palmerston, and Gord Bell from nearby Kurtzville. They volunteered to build the handcars for the Town to help save on the cost of buying new ones. 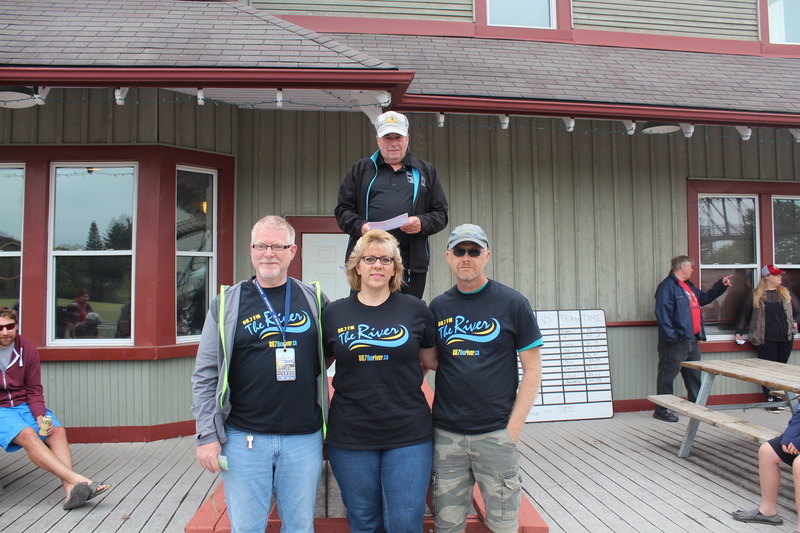 To help honour and thank these two volunteers, the handcars have been named “Hal” and “Gordie.” The current style of the handcars evolved from the metal handcars of the 1950s to a style modified for racing in the 1970s. Even though Palmerston has only been holding Handcar Racing events since 1992, handcar racing can be traced back to over 100 years ago. Handcars have an important history with the railroad. They were often used by maintenance men who would travel down the track to fix the rails. 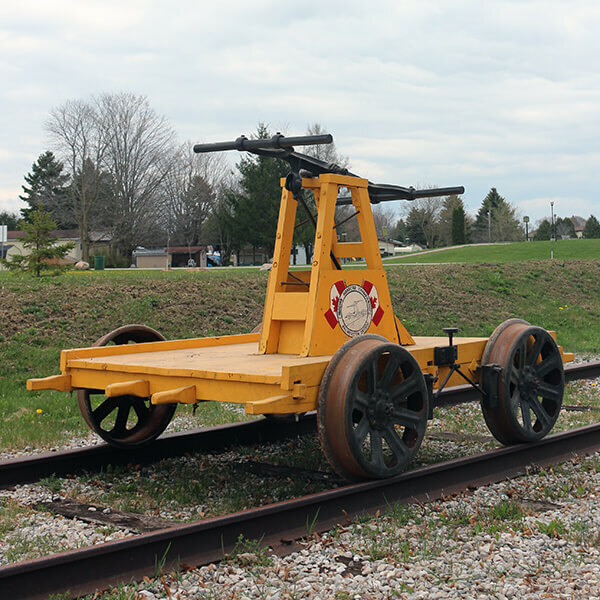 Since handcars have a low weight, and are small in size, they can be put on and taken off the rails at any place, in order to allow trains to pass. In some cases they would also be used as a mining car and the odd time they were used for passenger service. Handcars have since been replaced by self-propelled vehicles that do not require the use of manual power. A handcar’s typical design consists of an arm that pivots, in a seesaw-like motion, on a base, which the passengers alternately push down and pull up to move the car. It may sound and look easy, but using a handcar can provide quite the workout! 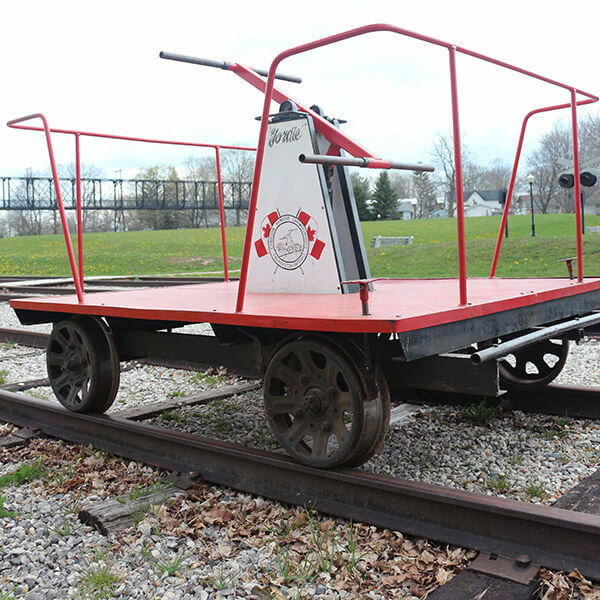 In other parts of the world, handcars are also known as a pump trolley, a pump car, jigger or a Kalamazoo. The Velocipede is a very strange looking piece of equipment, but works in very much the same way as a handcar. However, instead of needing at least 2 to 4 people to power it down the track, it only took one person. It was often used by railroad track inspectors, who would travel to assigned sections of track at least twice a day, checking for damage and signs of wear. A velocipede allowed them to cover the miles of track rapidly, while at the same time keeping them close to the track for a better examination of the joints and gravel bed. Velocipedes have both foot pedals and handles. However, instead of using a pumping motion like you would on the handcars, the velocipede is propelled by pushing and pulling the handle bars and while also pedalling in the manner of a bicycle. The velocipede is also characterized by having 3 wheels instead of 4 like the handcars. This allowed for the velocipede to be lighter and easier for one man to remove it from the track if a train were coming, and to turn it around to head back to the main station. The Museum currently has one Velocipede on display. It was kindly donated by Carl K. Bales of Lucknow.